How do you know when you need emergency plumbing repair service? What some people consider an emergency may different from what others classify as an urgent matter. For instance, you may consider shower leak repair an immediate need, while your neighbor may be happy living with this inconvenience for a while longer. 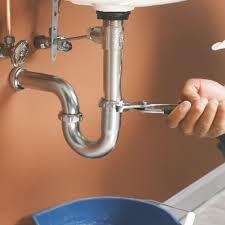 In the plumbing industry, there are times though that require calling a licensed plumber without delay. Call for emergency plumbing repair service if any of these issues are present in your home. A leaky gas line is something that should never be disregarded. In its natural state, natural gas is odorless, which would make it nearly impossible to tell if there is a leak. To solve this problem, gas companies add an odorant that is called mercaptan. This is a harmless substance that protects people every day from accidental gas explosions. Mercaptan emits an odor that is like the smell of rotten eggs. If you notice this odor in your home, leave the premises immediately and call a certified natural gas plumber. For more information about emergency plumbing repair service in Glendale, give us a call! Although, you’re going to try to make short-term water pipe leak repair, you need to initially turn off the water supply at the lowest point from pipe to drain. Doing this relieves pressure and will stop additional leakage while you wipe down the pipe and dry it. Many leaks form from disconnected joints or tiny holes that have formed in the pipe. A short-term solution is to use an epoxy filler and electrical tape to fill and seal the hole. You can find epoxy filler at your neighborhood home improvement store. Another solution is to use a pencil and let the graphite fill the hole. Wrap electrical tape around the pipe and the tip of the pencil to secure it. Epoxy filling and the pencil method will only work for a short period of time. Enough time, really, to let you continue with light usage and to call for emergency pipe repair in Glendale. Emergency plumbing repair service by licensed plumbers is available around the clock at no additional cost by Glendale Expert Plumbing and Rooter because we believe everyone should have affordable access to full-service repairs. When you find yourself reaching for a bucket or panicked because water is rushing from a pipe, give your friendly Glendale plumber a call and we’ll help you out today! A blocked pipe can cause many problems. Residents of Glendale can contact Glendale Expert Plumbing and Rooter for drain cleaning services. Our trained technicians use liquid cleaners and other products to clear drainpipes of unwanted substances. However, it is advisable not to use certain chemicals to clean your drains because they may cause damage to your pipes. Liquid drain cleaners contain certain chemicals and cleaning agents. Some cleaners contain chemicals that can corrode drainpipes or cause them to melt. Such cleaners are not recommended for drain cleaning. There are various categories of chemical cleaners including caustics, acids, and oxidizers. Examples of caustics include caustic soda and sodium hydroxide. Acids include sulfuric acid and hydrochloric acid. Sodium hypochlorite is an example of an oxidizer. Excessive and improper use of these chemicals can cause damage to your plumbing system. However, caustics can cause the most damage. Restricted use of these chemicals will produce the best results. Drainage pipes are made of various materials including PVC plastic, galvanized steel, and copper. Liquid drain cleaners may contain oxidizing, caustic, or acid components that can cause damage to these pipes. In addition, they may cause further corrosion of drainpipes. However, the negative effects of liquid cleaners on drainpipes are often realized with repeated or excessive use. At Glendale Expert Plumbing and Rooter, we provide many drain cleaning options, especially for clients who are concerned about the effects of liquid cleaners on their drainpipes. We can use enzyme drain cleaners, drain auger, drain snake, or a plunger for drain cleaning. Glendale Expert Plumbing and Rooter uses eco-friendly drain cleaning products to minimize the effects of drain cleaning products on the environment. Some drain clogs may require more than one drain cleaning method to get rid of the clogs. Avoid mixing drain cleaners with other chemicals because it may cause chemical reactions that may produce toxic gases and fumes. Glendale Expert Plumbing and Rooter has a staff of experienced and knowledgeable drain cleaning experts. Reach out to us today to find out how we can help with your drain-cleaning project. Today’s basements are a far cry from what the average American’s basement looked like a decade or two ago. The majority of basements are expertly finished with beautiful craftsmanship, high-end touches, and features like full kitchens, saunas, fitness rooms, and more. Homeowners spend serious amounts of money to create basement living spaces, yet too often these gorgeous Glendale renovations are marred by unforeseen plumbing problems and water leaks. If you’re considering finishing the basement in your home, here are 3 ways that you can keep leaks out of your basement and preserve your beautiful space. There are plenty of DIY-homeowners out there who are skilled with a hammer and saw. Construction talents will save you money on your basement finishing project, but there are some parts of the project that should be handled by licensed professionals. If you’re installing a bathroom, a wet bar, or anything else that involves plumbing, it’s crucial that you hire a licensed plumber in [location]. Installing plumbing incorrectly can lead to leaks, burst pipes, and other problems that can damage your beautiful basement. Before you install the drywall inspect the interior foundation walls for signs of cracking. As a home settles, a fair amount of hairline cracking along the foundation walls and floor is normal. However, long and deep vertical and, especially, horizontal cracks may indicate a serious issue. Don’t overlook this essential step and call in a foundation specialist to access the situation before you proceed. Anyone finishing their basement should not overlook the importance of a sump pump. 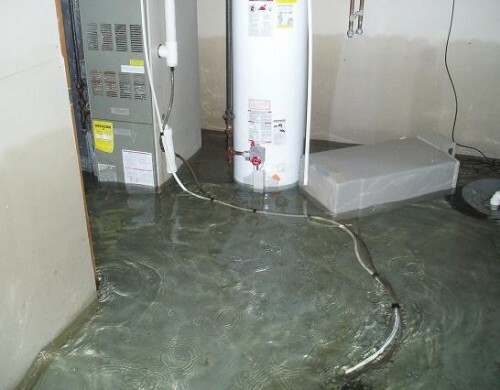 Sump pumps remove water from the basement and prevent flooding. Many newer homes already come with a sump pump rough-in (a hole in the floor ready for the pump to be inserted), making it cost-effective to install. Even if your basement doesn’t have a sump pump rough-in, it’s a good idea to install a pump system to keep your basement water-tight. If you live in the Glendale area and are considering finishing your basement, give Glendale Expert Plumbing and Rooter a call and let us help you keep your basement leak-free.